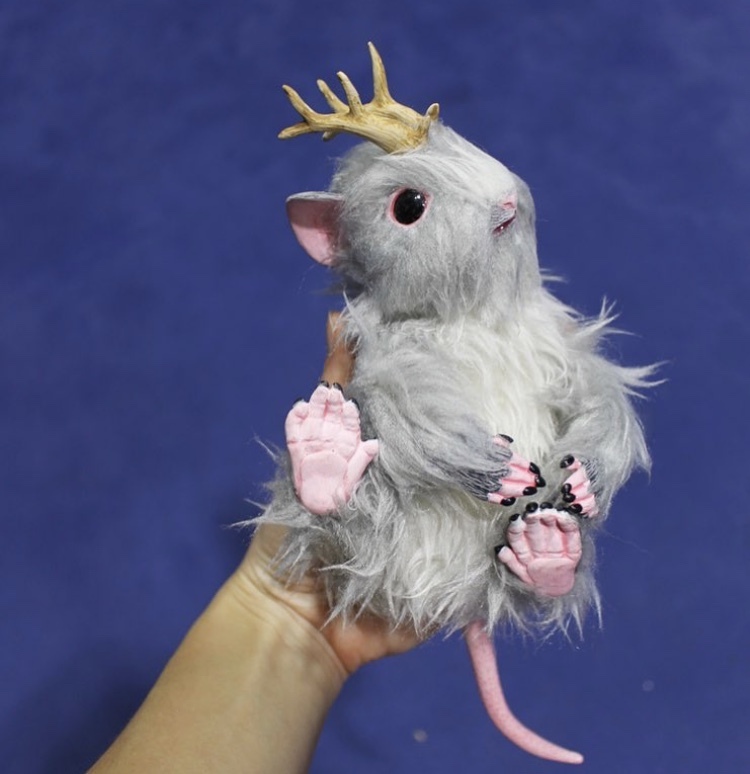 One of the very first creatures to join the Menagerie (and in fact the first pose-able doll ever offered), The Californian Jackalope isn’t a true Jackalope at all. This faerie critter is known as a ‘faux jackalope’, and is thought to be the result of life energy mutating a California Kangaroo Rat. These creatures are extremely territorial and very difficult to keep in large numbers in captivity. In the wild, a single male/female pair will defend a territory of up to two square miles. Both male and female CA Jackalopes sport large antlers.